YouTube wants to make lots of money. First sign of maturity. Google is tired of financing it. My sources tell me that the financials are still being worked out but YouTube wants paid subscriptions for individual channels. YouTube wants content providers to offer channels that subscribers would have to pay anywhere between $1 and $5 a month. Of course, this would only hold true for content companies that have already demonstrated the ability to build and maintain a large presence on the video site (aka multichannel networks like Fullscreen, Machinima, and Maker Studios). 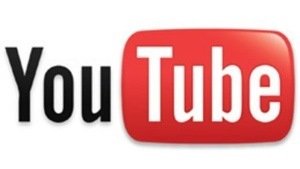 YouTube is also considering charging for content libraries and live events. Revenue will be shared between all parties. This is still only in discussions. Sounds like a great opportunity for video producers to make some money. This entry was posted in digital, senior lifestyle, tech and tagged revenue sharing, YouTube, YouTube content provider by loiswhitman. Bookmark the permalink.